The NGO took up the matter with the police and also met the victim’s family. Around this time in 2012, the issue of child trafficking was in limelight due to the case of the battered child and her 14-year-old ‘guardian’. The teen was treated as a victim when it came to light that she was raped and her father used to beat her up. A year on, various gangs continue to smuggle in young girls to the Capital and force them to work for various placement agencies. “The case was an eye-opener. The chain of events that had led to the incident was shocking. Along with the 14-year-old girl, the mother of the baby too was a victim of trafficking,” a child right activist said. Following the incident, the Delhi Police launched a massive crackdown on placement agencies and trafficking gangs. Over 1,000 children were rescued in 2012 and action was taken against more than 150 placement agencies. The rescued children were usually employed as workers in factories or as domestic helps in homes. “On an average, 14 children go missing in Delhi every day. 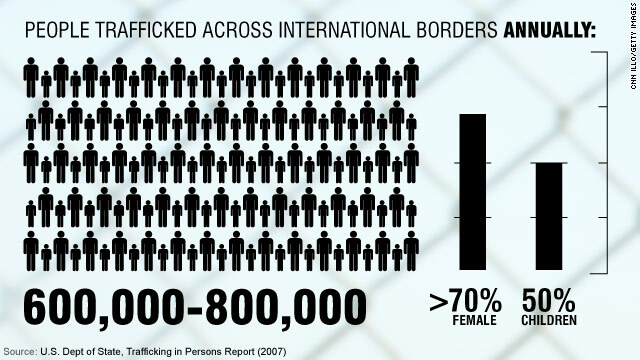 Many of them end up in traffickers’ hands. Children below eight years are forced into begging. The older ones are pushed into child labour. Organised gangs kidnap minors and transport them to other cities,” said Rakesh Senger, national secretary of Bachpan Bachao Andolan, an NGO. Sources in Delhi Police said special measures were being taken to curb the problem. “We have identified the areas from where children go missing. We will soon launch an awareness programme to educate parents about safeguarding their children. We take missing persons’ complaints very seriously now,” said a senior police officer. Rishikant, executive director of NGO Shakti Vahini, said strict laws against trafficking could act as a deterrent. 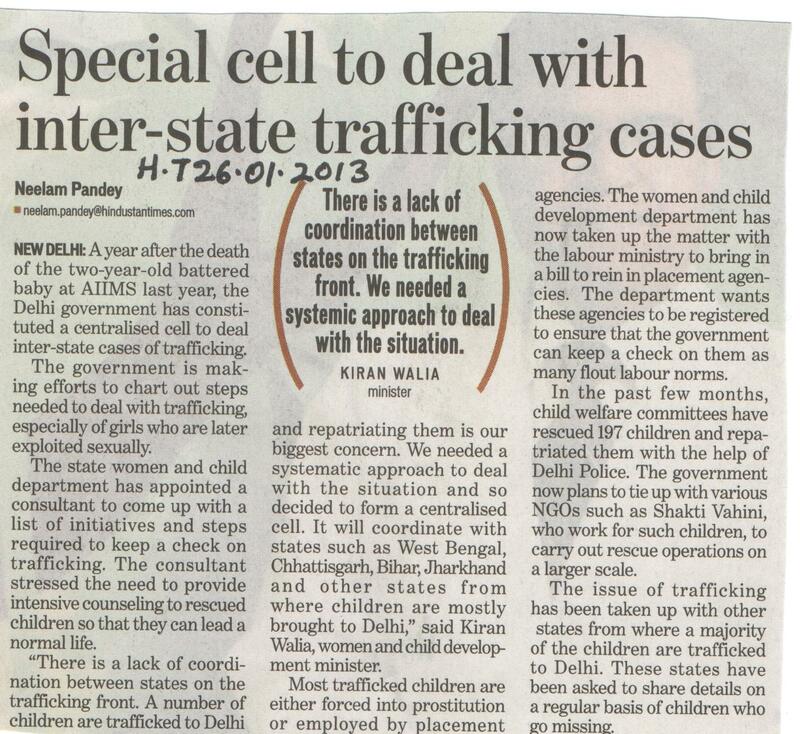 A year after the death of the two-year-old battered baby at AIIMS last year, the Delhi government has constituted a centralised cell to deal inter-state cases of trafficking. The government is making efforts to chart out steps needed to deal with trafficking, especially of girls who are later exploited sexually. The state women and child department has appointed a consultant to come up with a list of initiatives and steps required to keep a check on trafficking. The consultant stressed the need to provide intensive counseling to rescued children so that they can lead a normal life. 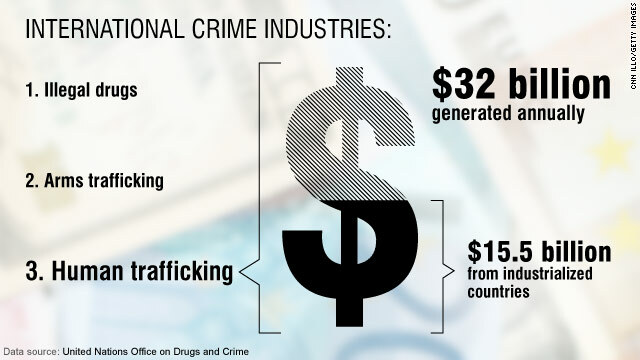 “There is a lack of coordination between states on the trafficking front. 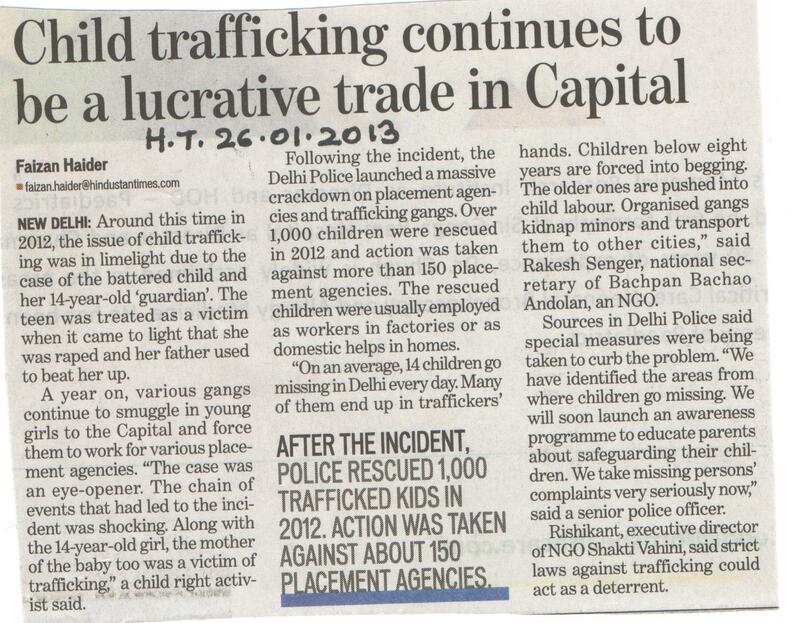 A number of children are trafficked to Delhi and repatriating them is our biggest concern. We needed a systematic approach to deal with the situation and so decided to form a centralised cell. It will coordinate with states such as West Bengal, Chhattisgarh, Bihar, Jharkhand and other states from where children are mostly brought to Delhi,” said Kiran Walia, women and child development minister. 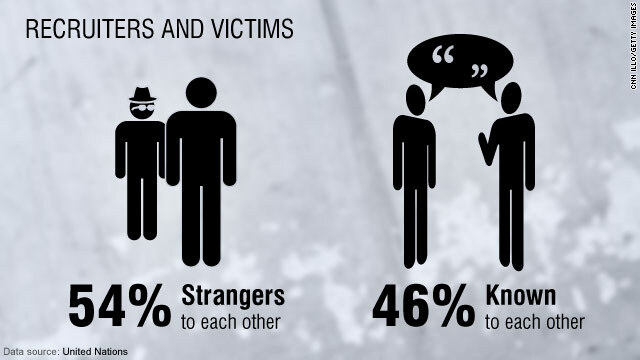 Most trafficked children are either forced into prostitution or employed by placement agencies. The women and child development department has now taken up the matter with the labour ministry to bring in a bill to rein in placement agencies. The department wants these agencies to be registered to ensure that the government can keep a check on them as many flout labour norms. In the past few months, child welfare committees have rescued 197 children and repatriated them with the help of Delhi Police. The government now plans to tie up with various NGOs such as Shakti Vahini, who work for such children, to carry out rescue operations on a larger scale. The issue of trafficking has been taken up with other states from where a majority of the children are trafficked to Delhi. These states have been asked to share details on a regular basis of children who go missing.